When in New Zealand, cover Lorde. 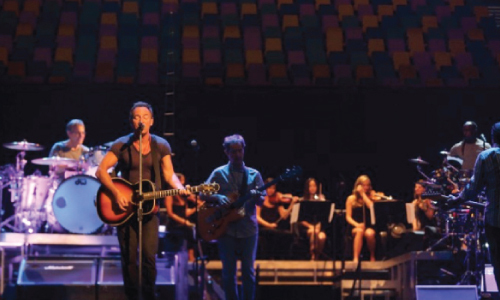 The Boss payed homage to the biggest thing to come out of New Zealand, well, maybe ever. In Auckland, N.Z. this weekend, Bruce & the E Street boys covered the pop starlet’s monster hit “Royals” in the best way one could expect the American superstar to do so – with a country-esque twang & a harmonica.